New Year’s Eve is one of our favorite holidays! There's nothing we love more than dressing up, drinking champagne and being around the people we love. 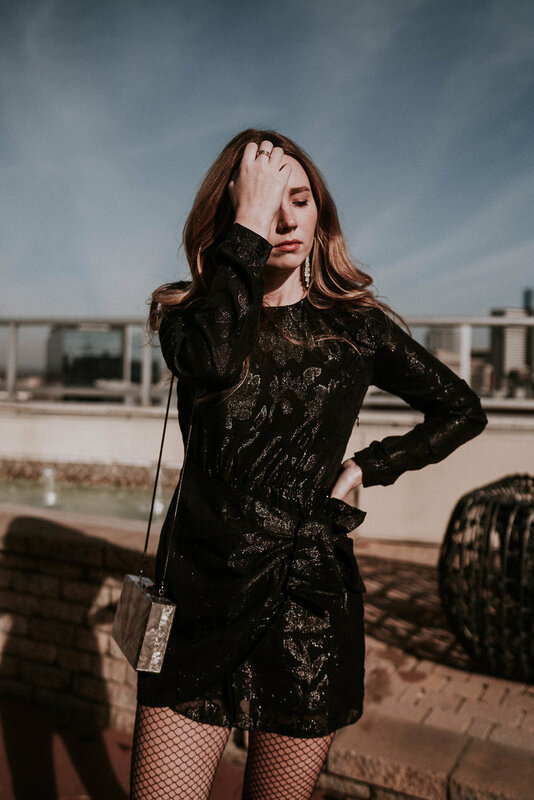 While this holiday traditionally has us dressing in sequins, we decided to leave those sparkles behind and focus more on the metallic trends. Metallics allow for all the glitz and glam while staying true to our edgy side. This is a more understated way to achieve a bold look, creating that effortlessly stylish feeling. Since the metallic hues stand out on their own, there’s not much more needed to add to the look! In our cases, we added some fun accessories like fishnets, sparkle socks and evening clutches. These looks are super easy to accomplish and fun to rock while ringing in 2018! We hope you have a wonderful, safe and stylish holiday!